The silhouette is an all too familiar pose Bono has struck thoughout the years live on stage with U2. Bono and U2 had a very close-knit relationship with Apple. The band filmed an iPod commercial for the song “Vertigo“, had their entire 400-song discography featured in the first iTunes ‘Digital Box Set,’ and on their own limited-edition ‘U2 iPod‘. Here is Bono and The Edge with the late great Steve Jobs introducing their iPod in 2004…. 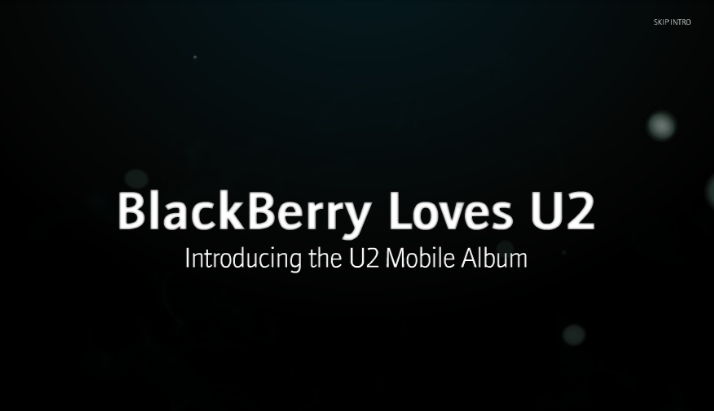 U2 eventually moved on (Sold Out) to form a partnership with rival company Blackberry for their U2 360° Tour in 2009.